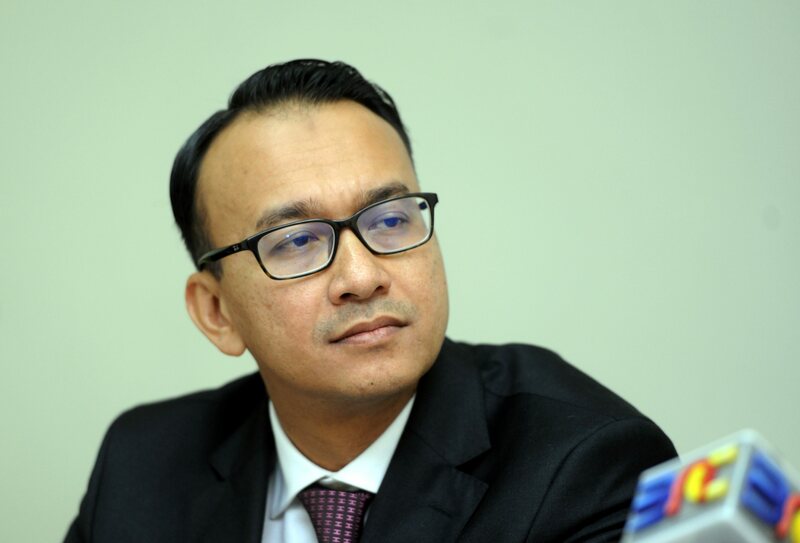 The Board of Directors (“the Board”) of the Kumpulan Perangsang Selangor Berhad (“KPS” or the “Group”) (KPS, Bursa: 5843; Bloomberg: KUPS:MK; Reuters: KPSB.KL) has announced on 2 January 2019 the appointment of Ahmad Fariz Hassan to the Board as Managing Director effective 1 January 2019. He will also assume the role of Group Chief Executive Officer. Prior to this appointment, Ahmad Fariz was KPS’ Chief Executive Officer, a position he had held since 1 May 2016. Graduated with a Bachelor’s Degree in Accountancy from Universiti Teknologi MARA, Ahmad Fariz’s 20-year working experience span banking, investment, consumer and property development sectors. From his previous tenure in Ekuiti Nasional Berhad and Khazanah Nasional Berhad, he honed expertise across a wide ambit of investment decision process, a competency proven useful in his reign in KPS. Soon after he joined KPS in 2016 as Head of Strategic Planning and Investment and subsequently Chief Executive Officer, he successfully mobilised strategic measures to harness aggressive growth potential for the Group. Capitalising on commercial opportunities in the manufacturing industry, he spearheaded the Business Transformation Plan (“BTP”), a growth agenda resulting in the Group having stronger business dynamics, with not just regional but also global presence. With the ongoing implementation of the BTP, Ahmad Fariz has steered a new business direction for the Group, one which aims for sustainably strong business growth, optimising shareholders return as well as repositioning KPS brand in the market. KPS has since evolved as a focused investment holding company with core assets in the manufacturing, trading, licensing and infrastructure sectors. The Board also announced the appointment of Koay Li Onn as Independent Non-Executive Director with effect from 1 January 2019. Currently the Managing Director of the Bangsawan Group which provides corporate, financial and strategic advice across Singapore and Malaysia, Koay has had successful careers in law, finance and banking for 22 years, and a proven leadership track record of strong revenue-generating Malaysian business for a multinational Fortune 500 company. Koay graduated with a Bachelor of Laws from the International Islamic University, has a Master’s in Law from Harvard Law School, and undergone the Executive Education Programme from the University of Oxford. His professional experience includes being admitted as Advocate & Solicitor of the High Court of Malaya, being admitted as Attorney & Counselor-at-Law in the Supreme Court of the State of New York, USA, becoming a Capital Markets Committee Member in the Association of Banks Malaysia, and being elected a Committee Member in the Financial Markets Association of Malaysia. En. Ahmad Fariz Hassan’s and Mr. Koay Li Onn’s appointments expand the KPS Board to 10 members, from eight previously. “These additions to the Board reflect the consistent enhancement to the Board alongside the Group’s ongoing strategic shift towards becoming a high-growth and returns-focused entity. Ahmad Fariz has been a pivotal force in conceptualising and realising the Group’s Business Transformation Plan, where various acquisitions of new businesses and holding of majority stakes in growth-centric companies have placed the Group on a path of sustainable expansion. With full responsibility for the leadership and development of KPS business, he will now be tasked to play even more role in meeting the Group’s ambitious business plan going forward.